What do a pit bull, a monkey, and a ferret all have in common? Each has been prescribed as a “companion” animal. This developing area of law can easily ensnare landlords unfamiliar with the rules, and lead to significant fines for violation of state and local discrimination laws. 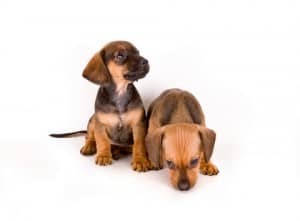 A tenant or rental applicant with a disability who has been prescribed a companion animal by a person qualified to treat the disability can bring an animal of their choice into the rental unit in order to treat the disability, regardless of any pet rules the landlord may have in place. The tenant must be legally disabled. The tenant cannot choose an animal that is prohibited by any local laws. The landlord cannot charge a deposit or enforce any pet-related policies under the lease. The landlord can confirm the disability and the prescription of the animal, but cannot ask about the animal’s training, or argue about the link between the disability and the animal. For instance, a landlord cannot suggest the tenant get a different animal. The tenant remains financially responsible for any damage the pet causes. The landlord cannot charge the tenant with a disability a higher security deposit. If the animal causes a nuisance or threatens others, any provisions in the lease with regard to eviction for nuisance or disturbance can be enforced. If another tenant suffers an allergy or other illness from the animal, the best avenue may be to document the problem and schedule a preemptive talk with the local housing office — the place where the tenant with a disability will lodge a complaint. The landlord has a legal duty to try to work something out that accommodates both tenants.